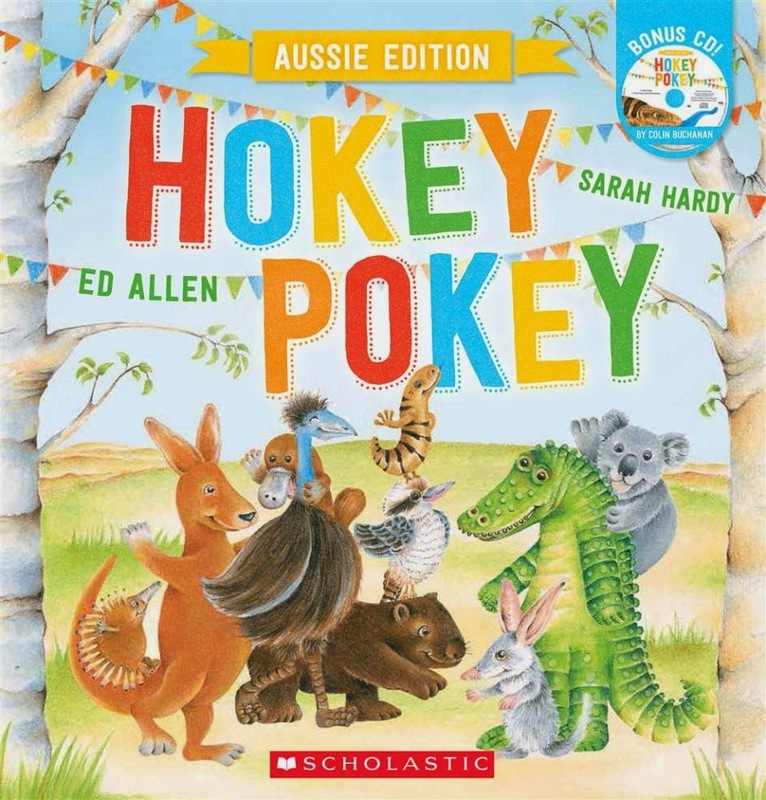 Hokey Pokey is a lively picture book filled with Australian animals. Young readers can see how these animals do the Hokey Pokey – the lizard puts his tongue in, the echidna his pointy nose and the kookaburra’s left wing is shaken all about. Okey dokey, now let’s do the kookaburra hokey pokey! You put your left wing in and shake it all about. As each new animal participates, the rest imitate, and there is a build up of animals as the story progresses. Through the illustrations, there is also a glimpse of who will be next. The fun and clever ways each animal uses to join in are wonderfully depicted by Hardy’s soft illustrations. They show a variety of beautiful Australian landscapes and are light and playful, in keeping with the song. The humour of the song is also echoed in these pictures, and will give children with an eye for detail, something to seek out and have a little giggle over. The Hokey Pokey has been known, loved and energetically performed by children of many generations and Ed Allen’s new version of this classic song will have young children joyfully joining in the fun. The accompanying CD recording of the song, performed by Colin Buchanan, is great fun and toddlers will not be able to stay still long. The repetitive nature of the song/book is perfect for pre-schoolers and they can imitate the animal’s dance moves, and then think up some more themselves.